Today is a great day for a GIVEAWAY! I’m thrilled to present Interiors by Jacquin’s first contest in honor of my colorful, new blog design! I hope you like the new look and these fantastic prizes. One lucky winner will receive a custom interior design service (e-design) for one room in their home ($350 value!) along with a 11″ x 14″ fine art print and a set of porcelain egg planters with wheat grass kit. I must thank my awesome sponsors, artist Christoff Davis and Revisons Design Studio, for their fab contributions to this giveaway. The contest is running this week only and will end on Saturday, February 21st at 11:59pm PST. 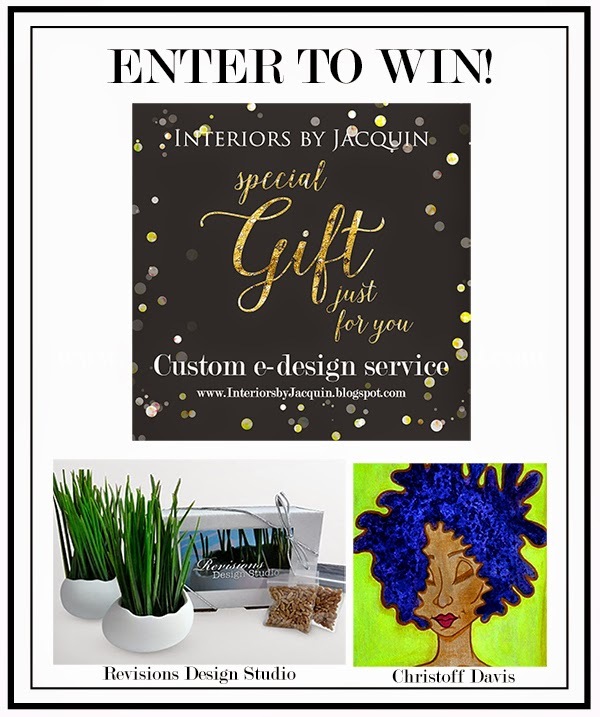 Subscribing to Interiors by Jacquin is a requirement for entry and you can earn additional entries by following our contest sponsors on social media. All contest entries should be done through Rafflecopter. This contest is open to entrants outside of the U.S. as well, but only U.S. residents can receive the e-design service. Anyone can win the artwork and planters. Don’t miss your chance to WIN! Enter here. 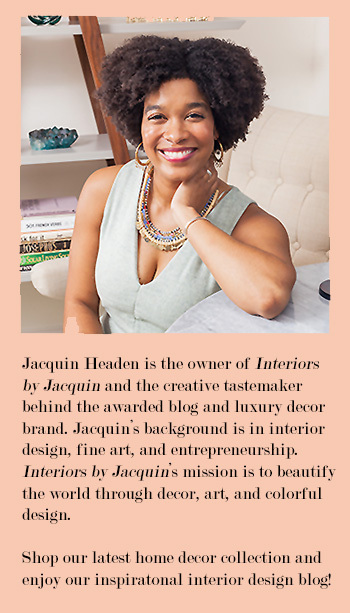 Thank you for supporting Interiors by Jacquin! Please share this contest on Facebook and Twitter. I plan to keep the inspirational design content coming! I will also feature some exciting global content this year. Stay tuned for a special Austrian post this Saturday. Have a great week!